Sam Hammington's wife apologized for the animal abuse controversy. On April 7, a video of William Hammington playing with the family's pet dogs was shared on his official Instagram account operated by his mother. 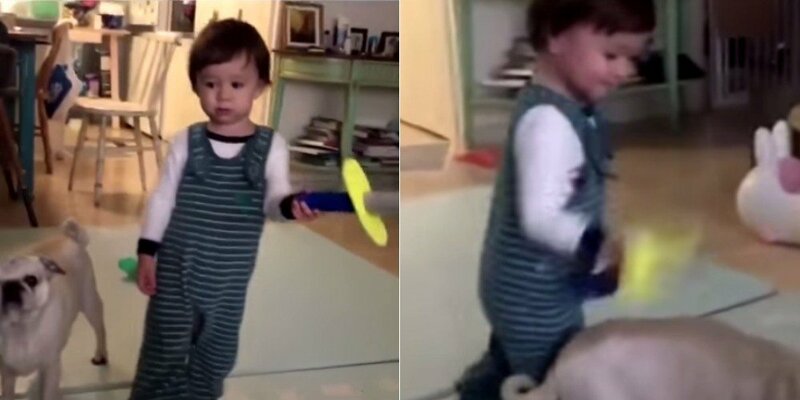 In the clip, William is seen hitting the dogs with a toy sword. The caption to the post read, "Alive�toys~~ Let me introduce you to my�best friends Mandoo and Gaji. I'm training them because they are not potty trained yet. Don't misunderstand this~~"
"I apologize for disappointing with my careless act. Mandoo and Gaji, who have been with us for 13 years, are a precious family that we cannot live without. I will be more cautious from now on so my family and others will not be hurt by my mistake. I will look back at myself multiple times in order to become a�proper example to my children. I will become a mother who reflects on her actions and learns from it. Once again, I apologize." ?????. ??? ?????. ? ??? ???? ???? ???? ?????. ?? ?? ???? ????. 13? ?? ????? ??? ??? ??? ?? ?? ???? ? ? ??? ?????. ? ???? ?? ?? ??? ??? ?? ??? ???? ?? ?? ??? ??????. ??? ????? ??? ?? ??? ? ? ?? ? ??? ? ??? ???? ??? ??? ???????. ?? ? ? ????? ?? ??? ?.